The platform is xbox 360, publisher microsoft of course, devoloper the one and only bungie, and the final thing the realease dat fall of course 2008. Halo 3’s fight is over. They are making a another halo Game! yha! dont get your hopes up yet the problem its lego third person yha I mean boo bungie. Pretty much they are trying to make more money im sure the creators will never play it, at least test it. 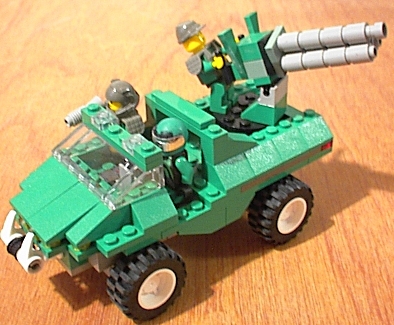 It is pretty much halo 1, 2, and 3 all in lego how boring. How come they cant do that with the regular halo;s. I think this is a bad thing to do for younger kids from like 7 and under. Say for example the game is out. A 7 year old got a whole bunch of money for his birthday. So he asked his mom if he could go to the store she said yes. On the way she asked what doo you want he siad a lego game. So she said alright. They get there. He looks trough the glass and see’s lego halo. DUN DUn DUn DUN…………………… so he shows his mom thats what he wants he buys it they get home and the kid plays it. Knowing the next thing he is going to want a gun for his birthday. Halo is rated M for a reason. So im hoping they will rate this game t or higher. Next thing is pretty amazing they are havng pre orders coming 7-11-08. This is great know there will be a lline out the door with 7 year olds. Master chief looks pretty cool but the arbiteer just looks like it had a swirrly of some sort. 🙂 Some of these levels dont even look like halo at all. Emg said “We really feel like the Halo trilogy is as strong as Star Wars.